Computes the direction of steepest ascent of the triangle geom and represents it as a LINESTRING. 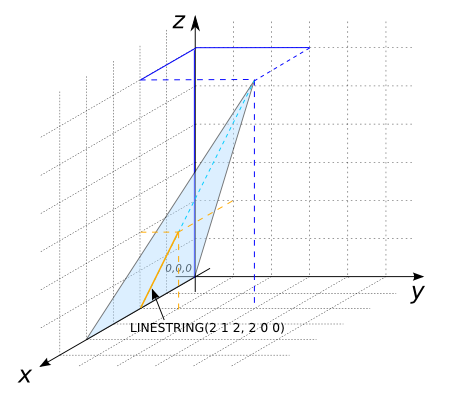 Returns LINESTRING EMPTY if all vertices of the triangle have the same z-value. Throws an error if geom is not a triangle. -- In the next two examples, all z-values are the same.